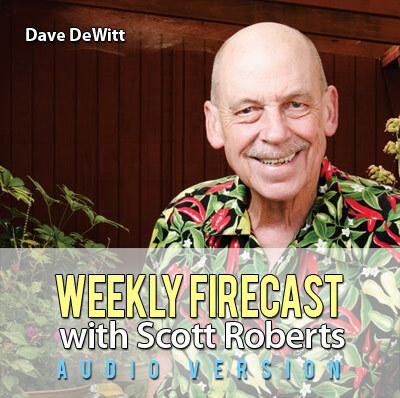 Scott chats with chile pepper expert and author Dave DeWitt, who is also producer of the National Fiery Foods and Barbecue Show, on the 25th anniversary of the annual event. The late Tabasco CEO Paul McIllhenny is also remembered. Scott debuts the Foodie Tip of the Week and reviews Fri-B-Que Hot Sauce.